Washington D.C, Jan 31 : A commonly-used epilepsy drug has brought hope for multiple sclerosis sufferers as it may help prevent nerve damage. 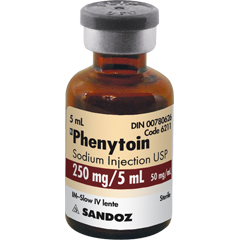 The University College London study found that the drug phenytoin slowed the progress of optic neuritis, a symptom leading to blurred vision, and scientists believe it could have a similar protective effect throughout the brain. In the study, 86 people with acute optic neuritis were either given phenytoin or an inactive placebo "dummy drug" for three months and at the end of the trial, the group who received the genuine drug had on average 30 percent less damage to the nerve fibre layer at the back of the eye. Lead researcher Dr Raj Kapoor said that these are promising results and if the findings are confirmed by larger, Phase III trials, could lead to a new treatment that protects nerves from the damage caused both in optic neuritis and throughout the central nervous system in other attacks of MS.